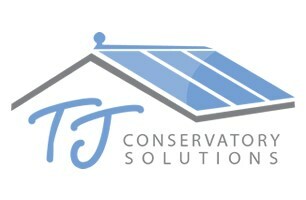 First of all welcome to TJ Conservatory Solutions Checkatrade page. If you are looking for someone with over 23 years experience in conservatories, roofs, windows and doors and you're after a good honest price first time, you want us to arrive on time, finish when we say we will finish, then you have come to the right company. All surveys are carried out by myself, Terry Jones, no sales representative and no hard sell, I simply listen to what you would like then give my opinion on what I think would work best. We are happy to take on repairs, large complex work and even just replace a misted up double glazed unit. Our aim is not to pick and choose our jobs but to try and make every customer happy, no job is too big or too small. Things have changed so much in the last 10 years and conservatories certainly have not been left out. Now you can have almost any colour, any size, any design, thermally efficient glass and self cleaning glass and argon filled glass. (It does actually work and I have trialled this myself) and an energy rating to suit your budget. Maybe you are looking for something a bit different, just give us a call as we love a challenge to get our teeth stuck into and are experienced enough to deal with a more complex design. Maybe all you want is some new glass units, no problem, we do the small jobs as well. We try our best to help everyone whenever possible so if you're thinking of having a new conservatory, replacing your old conservatory or you want to upgrade your windows, doors or you want to replace the roof of your conservatory - whether for thermal efficiency, noise reduction, better UV protection or simply because you want your conservatory to look new again - get in touch with us for quality conservatory solutions. Evesham, Hereford, Herefordshire., Ledbury, Malvern, Pershore, Worcester, Worcestershire, Bromyard, Leominster.